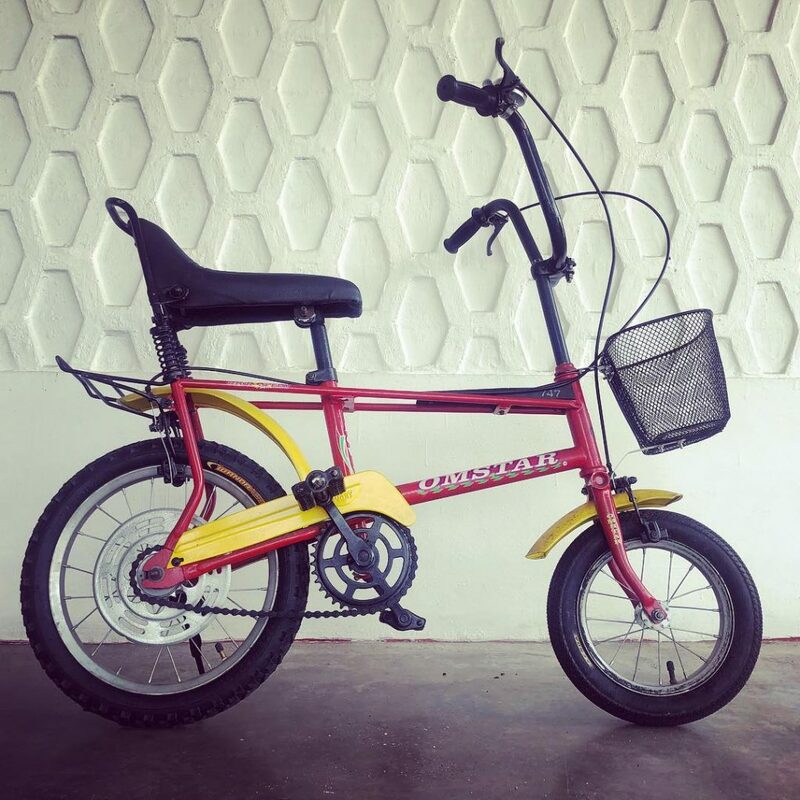 Having grown up with the iconic Raleigh bicycle and a Boombox radio in the garage, it was tough to pass up this nostalgic blast from the past. Builder Melan-E pulls out all the stops in the detailing of each artifact of yesteryear. 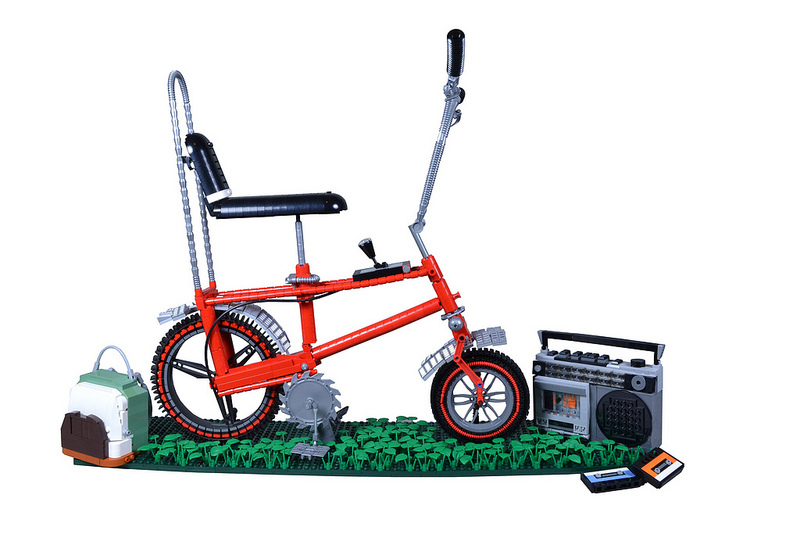 A few things stand out for me, including the great styling of both front and rear wheels, the reverse side of the 8×8 round element used for the speaker on the boombox, and oh! — those cassette tapes are simply charming. 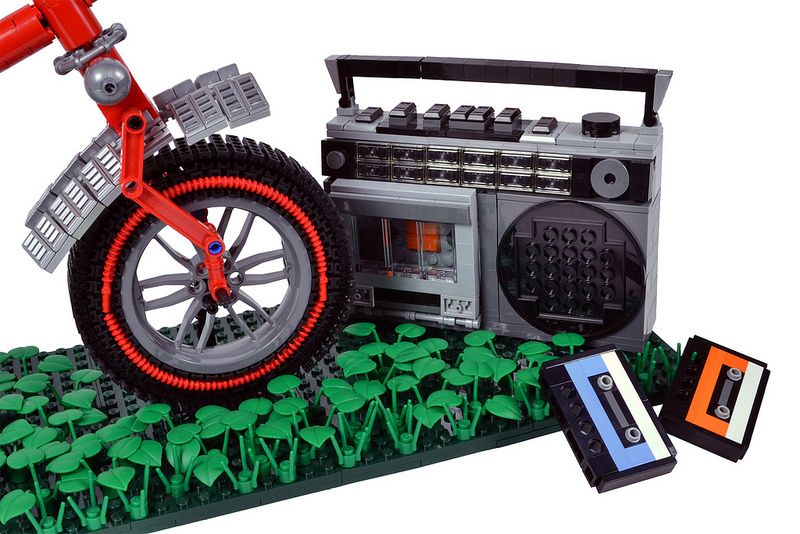 The boombox and cassette tapes look like they could almost scream out a hit like “Stayin’ Alive” by The Bee Gees. I wonder if the cassettes would fit right into the slots, as it does look like some hinged parts were used for the tape deck. 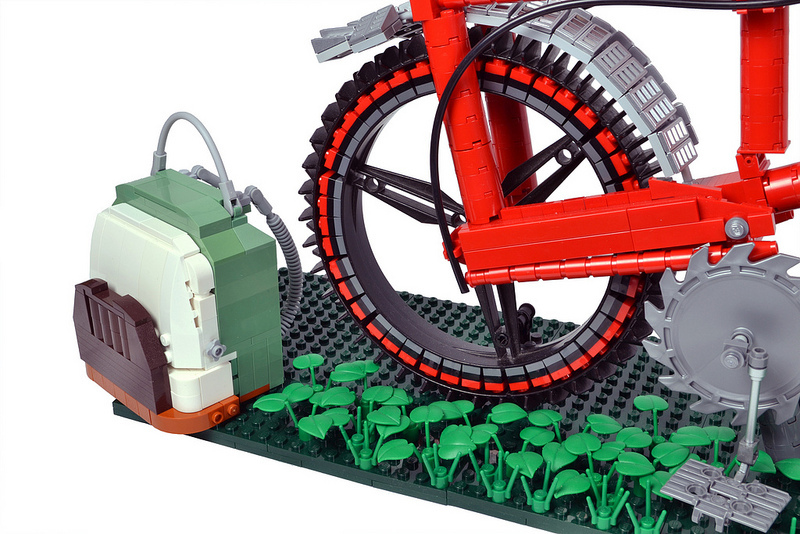 Melanie has created beautiful detailing around the rims with 1×1 plates that go all around, plus a school backpack to go. If you need a reference point of what a classic Raleigh looks like, I just happen to have one that my Mom had saved through the decades, brought back to life with a new coat of paint and a basket.